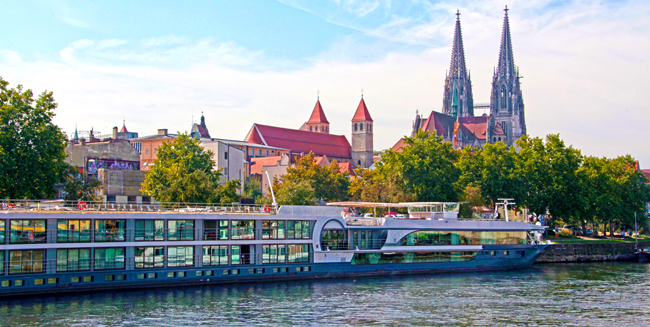 Avalon Waterways’ Avalon Passion and Avalon Imagery II will make their maiden voyages in Europe in 2016. River cruise ships and premium ships alike are sailing on their inaugural voyages in 2016 to India, Europe and North America. Avalon Waterways’ newest Suite Ships—the Avalon Passion and the Avalon Imagery II—make their maiden voyages in Europe next year. The 166-passenger Avalon Passion features 16 staterooms, 67 suites and two full decks of Panorama Suites (200 sq. ft. each) with wall-to-wall panoramic windows. 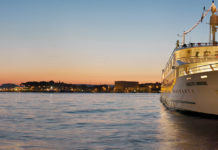 The Avalon Passion will cruise the Danube, while the 128-passenger Avalon Imagery II featuring 12 staterooms and 52 suites (also with two full decks of Panorama Suites), will sail the Rhine. Onboard amenities on both ships include WiFi access, a fitness center and a Sky Deck with whirlpool, plus the Panorama Bistro and Sky Bistro dining venues. Passengers aboard both ships receive headsets for all guided shore excursions and certified local guides to accompany them on sightseeing tours offshore. 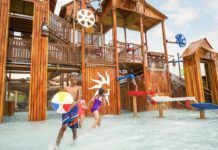 As for onboard entertainment, guests have the opportunity to take part in movie nights, activities and nightly entertainment. There is also an option on both vessels to add biking excursions in Amsterdam and Durnstein. For more information, visit avalonwaterways.com. 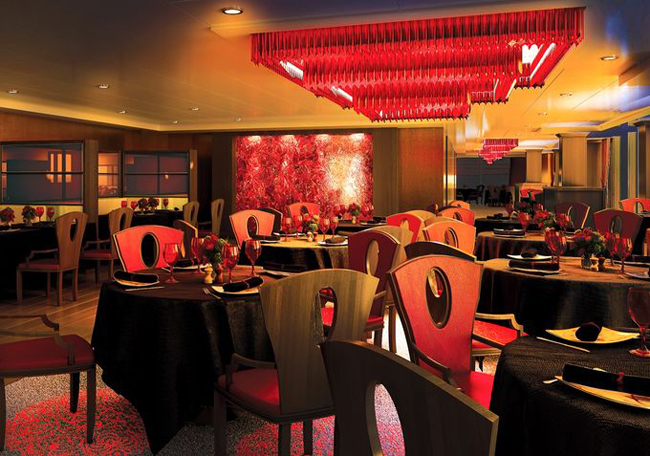 A rendering of the Red Ginger restaurant aboard Oceania Cruises’ Sirena ship. Although Oceania Cruises’ new Sirena ship is not a new build, it is certainly making waves following a $40 million refurbishment and the announcement of its much-awaited inaugural season beginning spring 2016. 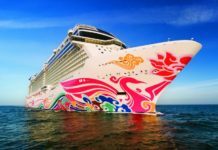 The 684-passenger sister ship to the Regatta, Insignia and Nautica is expected to sail throughout Europe, the Caribbean, the South Pacific, and Australia after her maiden voyage from Barcelona on April 27. The ship will introduce two new dining options—Tuscan Steak, a specialty restaurant serving Italian favorites, steaks and fresh seafood, and the Grand Dining Room, serving classic French fare—plus the signature Asian-inspired Red Ginger restaurant. The ship’s refurbishment also extended to the Sirena’s Owner’s and Vista Suites, both of which now include custom-made furnishings. As far as entertainment, guests can choose from lounging by the pool deck with a cocktail, kicking back in the ship’s English-style library with a selection from its 2,000 book inventory or testing their luck at the Blackjack tables, slot machines or poker tables at the onboard Monte Carlo-style casino. The Sirena’s Canyon Ranch SpaClub will feature a fitness center, a Kinesis exercise wall and a sauna and steam room, as well as yoga, pilates, indoor cycling and aerobics private and group fitness classes. For more information, visit oceaniacruises.com. 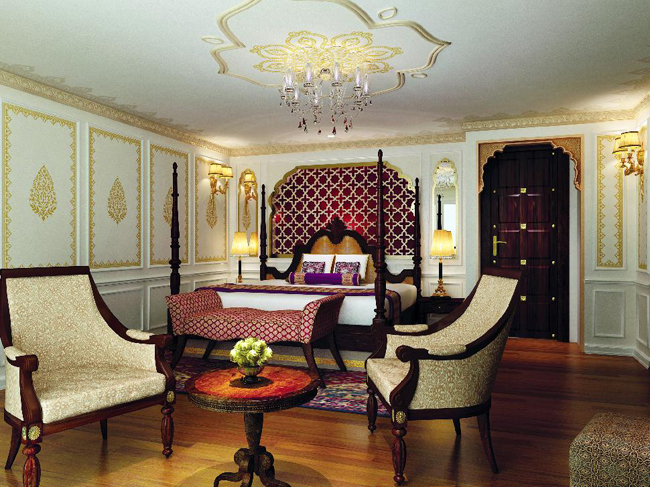 The Maharaja Suite aboard Uniworld Boutique River Cruise Collection’s Ganges Voyager II. The 56-passenger Ganges Voyager II, Uniworld Boutique River Cruise Collection’s newest luxury river cruise, sets sail in January on the new 13-day India’s Golden Triangle & the Sacred Ganges itinerary. The all-suite vessel’s maiden voyage features a 7-night cruise, a 5-night stay at Oberoi Hotels & Resorts in New Delhi, Agra, and Jaipur, as well as visits to historical landmarks including Delhi’s Humayun’s Tomb, the Taj Mahal and Mother Theresa’s home and tomb in Kolkata. Each of the Ganges Voyager II’s riverview suites offers high ceilings, hand-painted murals and comfortable sitting areas, plus French balconies with floor-to-ceiling glass doors. The suites’ marble bathrooms feature rain showers and spa-quality Molten Brown bath products, while the common areas feature flatscreen TVs and individual climate control to spacious closets and under-bed storage. Your most discerning clients will want to stay in one the ship’s spacious suites. 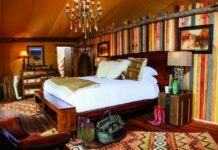 For example, guests staying in the 400-sq.-ft. Maharaja Suite are treated to additional amenities, including in-suite dining and scented baths in the suite’s deep-soaker tub. Guests in the 360-sq.-ft. Viceroy Suite receive daily butler service, laundry service and one complimentary spa treatment per person. On the ship’s third deck, guests can look out onto the Ganges River from the 360-degree observation deck, where onboard entertainment and cultural events will often take place. For more information, visit uniworld.com.